You never dreamed being the boss would be so hard. 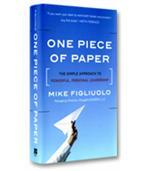 You're caught in a web of conflicting expectations from subordinates, your supervisor, peers, and customers. You're not alone. As Linda Hill and Kent Lineback reveal, becoming an effective manager is a painful, difficult journey. It's trial and error, endless effort, and slowly acquired personal insight. Many managers never complete the journey. At best, they just learn to get by. At worst, they become terrible bosses. 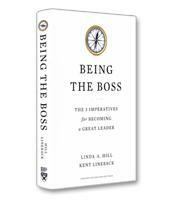 Becoming a great leader and manager is a journey, and it’s not an easy one, write Linda A. Hill and Kent Lineback, authors of Being the Boss. To help new and experienced managers successfully achieve the journey to great leadership, Hill and Lineback present what they call the "three imperatives" of management and leadership: managing yourself, managing your network and managing your team. There are, according to the authors, three approaches to managing. The first is to manage on the basis of authority — basically, the "because I said so" approach. 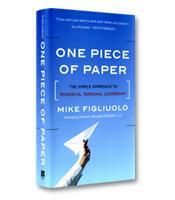 In today’s work environment, this approach rarely produces compliance and certainly not commitment. Another approach is the "let’s be friends" approach, which can also be ineffective. Managers need to develop working relationships even with those they don’t like and they need to keep some distance with those they do like. The third and most effective management approach, the authors write, is to build a relationship on a foundation of trust, which is based on two beliefs: people’s belief in the competence of the boss as a manager and people’s belief in the character of the boss as a person. Character is key. People want to know that their managers value them as people and have a strong sense of self. These are the traits exhibited by managers who successfully manage themselves. The first of the authors’ three imperatives focuses on how to manage those under a leader’s formal control. The second imperative involves people that leaders need to work with who are not under their formal control — peers and bosses, for example. The stumbling block for many managers in this imperative is that they don’t like the "office politics" required to successfully build a network throughout the organization. The first step in managing your network is to accept what the authors call "the reality of the organization" — that there are conflicting needs and priorities that need to be worked out. Specifically, managing your team involves: thinking about and planning the future; clarifying roles and purpose; and treating team members as individuals — interacting constructively with them, making a real effort to know them and working hard to develop them. Finally, managing the team involves the day-to-day management of employees for which the authors recommend an innovative "prep-do-review" approach: managers should think about what they’re going to do before they do anything; then they should act; this should be followed by a systematic review of what happened. Hill is a Harvard Business School professor with extensive experience building leadership programs and courses at the university. Her co-author, Lineback, has 30 years of experience as a manager and executive. 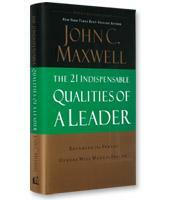 Their collaboration has produced an excellent manual on leadership that is clearly structured, comprehensive and practical.